event in the past century! We believe the content below, will help answer many of your questions and concerns. 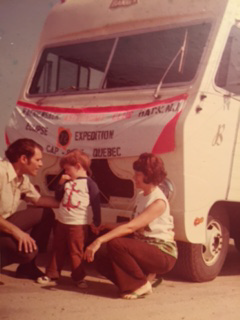 in Perry, Florida…..July 10th 1972, in far northern Canada in Quebec…..May 30th 1984 …. solar eclipse, from the big island in Hawaii……and now…the August 21st 2017, “Great American Total Solar Eclipse”, from Rexburg, Idaho! The next major total solar eclipse, visible in the USA, will occur on April 8th 2024! between eclipses ….and finally, 26 years between the 2017 eclipse and the 1991 event! Way too long to wait! How many eclipses have you seen? And if you did see one, was it a true total solar eclipse? Some say that it takes around 350 years on average for a total solar eclipse to return to the exact location that you saw the last one! celestial event, in comfort and safety! brother Joe…just 3 years old! 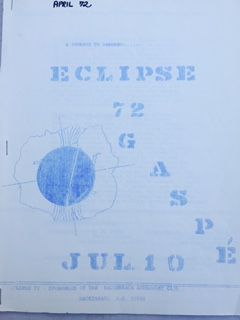 We ran a special eclipse tour to a little town in Quebec, Cap Chat, to see the July 1972 event! The Hackensack Astronomy Club made the trip and I was just 16 years old! Watergate was going on…the war in Vietnam , Apollo 16 had landed on the moon and Apollo 17 was to get there in December 1972….a long time ago! old mimeograph machines…what a smell! 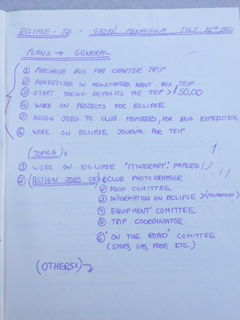 We actually had a role for each person in the club, to make the eclipse trip possible! A solar eclipse offers students a unique opportunity to see a natural phenomenon that illustrates the basic principles of mathematics and science that are taught through elementary and secondary school. Indeed, many scientists (including astronomers!) have been inspired to study science as a result of seeing a total solar eclipse. Teachers can use eclipses to show how the laws of motion and the mathematics of orbital motion can predict the occurrence of eclipses. The use of pinhole cameras and telescopes or binoculars to observe an eclipse leads to an understanding of the optics of these devices. 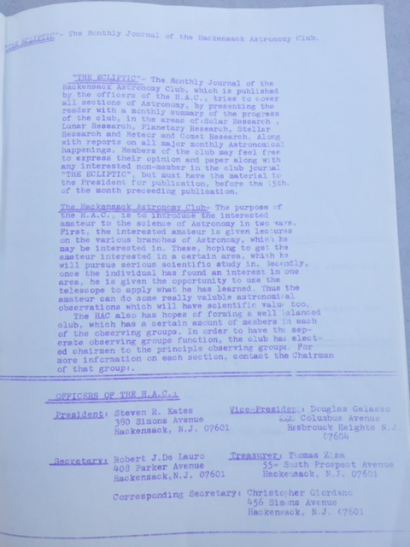 The rise and fall of environmental light levels during an eclipse illustrate the principles of radiometry and photometry, while biology classes can observe the associated behavior of plants and animals. It is also an opportunity for children of school age to contribute actively to scientific research – observations of contact timings at different locations along the eclipse path are useful in refining our knowledge of the orbital motions of the Moon and earth, and sketches and photographs of the solar corona can be used to build a three-dimensional picture of the Sun’s extended atmosphere during the eclipse. However, observing the Sun can be dangerous if you do not take the proper precautions. The solar radiation that reaches the surface of Earth ranges from ultraviolet (UV) radiation at wavelengths longer than 290 nm to radio waves in the meter range. The tissues in the eye transmit a substantial part of the radiation between 380 and 1400 nm to the light-sensitive retina at the back of the eye. While environmental exposure to UV radiation is known to contribute to the accelerated aging of the outer layers of the eye and the development of cataracts, the concern over improper viewing of the Sun during an eclipse is for the development of “eclipse blindness” or retinal burns. Exposure of the retina to intense visible light causes damage to its light-sensitive rod and cone cells. The light triggers a series of complex chemical reactions within the cells which damages their ability to respond to a visual stimulus, and in extreme cases, can destroy them. The result is a loss of visual function which may be either temporary or permanent, depending on the severity of the damage. When a person looks repeatedly or for a long time at the Sun without proper protection for the eyes, this photochemical retinal damage may be accompanied by a thermal injury – the high level of visible and near-infrared radiation causes heating that literally cooks the exposed tissue. This thermal injury or photocoagulation destroys the rods and cones, creating a small blind area. 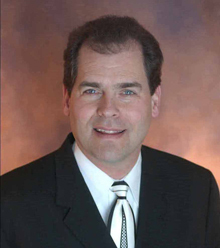 The danger to vision is significant because photic retinal injuries occur without any feeling of pain (there are no pain receptors in the retina), and the visual effects do not occur for at least several hours after the damage is done [Pitts, 1993]. The only time that the Sun can be viewed safely with the naked eye is during a total eclipse, when the Moon completely covers the disk of the Sun. It is never safe to look at a partial or annular eclipse, or the partial phases of a total solar eclipse, without the proper equipment and techniques. Even when 99% of the Sun’s surface (the photosphere) is obscured during the partial phases of a solar eclipse, the remaining crescent Sun is still intense enough to cause a retinal burn, even though illumination levels are comparable to twilight [Chou, 1981, 1996; Marsh, 1982]. Failure to use proper observing methods may result in permanent eye damage or severe visual loss. This can have important adverse effects on career choices and earning potential, since it has been shown that most individuals who sustain eclipse-related eye injuries are children and young adults [Penner and McNair, 1966; Chou and Krailo, 1981]. The same techniques for observing the Sun outside of eclipses are used to view and photograph annular solar eclipses and the partly eclipsed Sun [Sherrod, 1981; Pasachoff & Menzel 1992; Pasachoff & Covington, 1993; Reynolds & Sweetsir, 1995]. The safest and most inexpensive method is by projection. A pinhole or small opening is used to form an image of the Sun on a screen placed about a meter behind the opening. Multiple openings in perfboard, in a loosely woven straw hat, or even between interlaced fingers can be used to cast a pattern of solar images on a screen. A similar effect is seen on the ground below a broad-leafed tree: the many “pinholes” formed by overlapping leaves creates hundreds of crescent-shaped images. Binoculars or a small telescope mounted on a tripod can also be used to project a magnified image of the Sun onto a white card. All of these methods can be used to provide a safe view of the partial phases of an eclipse to a group of observers, but care must be taken to ensure that no one looks through the device. The main advantage of the projection methods is that nobody is looking directly at the Sun. The disadvantage of the pinhole method is that the screen must be placed at least a meter behind the opening to get a solar image that is large enough to see easily. One of the most widely available filters for safe solar viewing is shade number 14 welder’s glass, which can be obtained from welding supply outlets. A popular inexpensive alternative is aluminized mylar manufactured specifically for solar observation. (“Space blankets” and aluminized mylar used in gardening are not suitable for this purpose!) Unlike the welding glass, mylar can be cut to fit any viewing device, and doesn’t break when dropped. Many experienced solar observers use one or two layers of black-and-white film that has been fully exposed to light and developed to maximum density. The metallic silver contained in the film emulsion is the protective filter. Some of the newer black and white films use dyes instead of silver and these are unsafe. Black-and-white negatives with images on it (e.g., medical x-rays) are also not suitable. 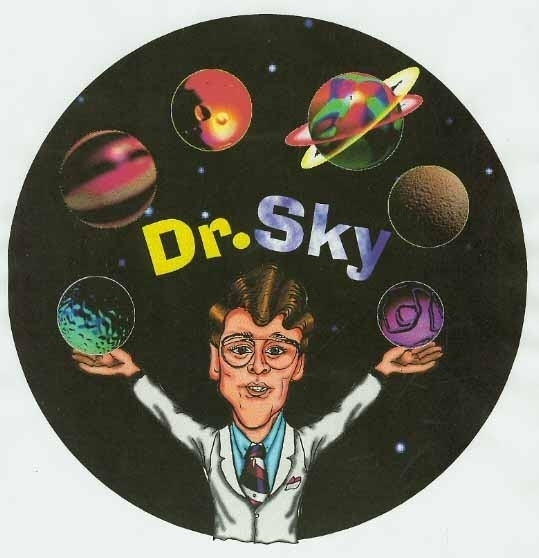 More recently, solar observers have used floppy disks and compact disks (both CDs and CD-ROMs) as protective filters by covering the central openings and looking through the disk media. However, the optical quality of the solar image formed by a floppy disk or CD is relatively poor compared to mylar or welder’s glass. Some CDs are made with very thin aluminum coatings which are not safe – if you can see through the CD in normal room lighting, don’t use it!! No filter should be used with an optical device (e.g. binoculars, telescope, camera) unless it has been specifically designed for that purpose and is mounted at the front end (i.e., end towards the Sun). Some sources of solar filters are listed in the following section. 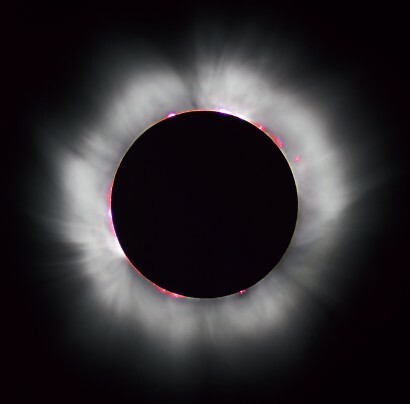 The British astronomer and mathematician, Sir Arthur Eddington, used the total solar eclipse of May 29, 1919 to test Albert Einstein’s theory of general relativity. A solar eclipse is also responsible for the discovery of helium. The first piece of evidence for the existence of the second lightest and the second most abundant element known to humans was discovered by the French astronomer Jules Janssen during a total solar eclipse on August 16, 1868. Because of this, it’s named after the Greek word for the Sun: Helios. Surviving records have shown that the Babylonians and the ancient Chinese were able to predict solar eclipses as early as 2500 BCE. Clay tablets found at ancient archaeological sites show that the Babylonians not only recorded eclipses—the earliest known Babylonian record is of the eclipse that took place on May 3, 1375 BCE—but were also fairly accurate in predicting them. They were the first people to use the saros cycle to predict eclipses. The saros cycle relates to the lunar cycle and is about 6,585.3 days (18 years, 11 days, and 8 hours) long. Like the ancient Chinese, the Babylonians believed that solar eclipses were bad omens for kings and rulers. Predicting solar eclipses enabled them to seat substitute kings during solar eclipses with the hope that these temporary kings would face the anger of the Gods, instead of the real king. According to the Greek historian Herodotus, a solar eclipse in 585 BCE stopped the war between the Lydians and the Medes, who saw the dark skies as a sign to make peace with each other. The Greek astronomer Hipparchus used a solar eclipse to determine that the Moon was about 429,000 km (268,000 mi) away from the Earth. This is only about 11% more than what today’s scientists accept as the average distance between the Moon and the Earth. Although early eclipse pioneers, including Chinese astronomer Liu Hsiang, Greek philosopher Plutarch, and Byzantine historian Leo Diaconus tried to describe and explain solar eclipses and their features, it was not until 1605 that astronomer Johannes Kepler gave a scientific description of a total solar eclipse. 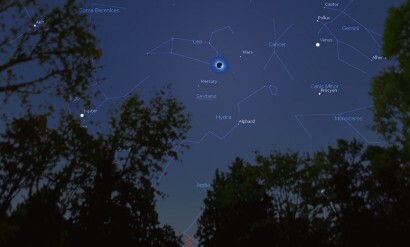 More than a century later, Edmund Halley, who the famous Halley’s comet is named after, predicted the timing and path of the total solar eclipse on May 3, 1715. His calculations were only 4 minutes and about 30 km (18 mi) off from the actual timing and path of the eclipse. Halley’s comet causes 2 annual meteor showers: the Eta Aquarids and the Orionids. 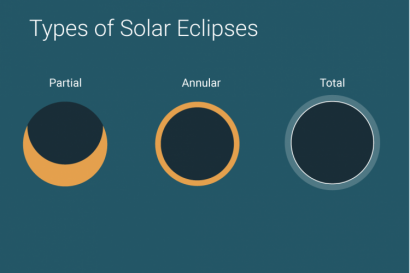 The scientific fascination with solar eclipses has led to some important scientific discoveries about the nature of the Sun, Moon, and our solar system. Visible in Medina, Saudi Arabia, the eclipse coincided with the death of Prophet Mohammad’s son Ibrahim. The Prophet reportedly dismissed rumors that this was a miracle, stating that the Sun and the Moon are signs of God and that they are not eclipsed for the birth or death of any man. King Henry’s Eclipse: King Henry I died shortly after the eclipse, prompting the spread of the superstition that eclipses are bad omens for rulers. English astronomer Francis Baily first discovered and described Baily’s beads—a phenomenon that occurs in the seconds before and after totality in a total solar eclipse and annularity in an annular solar eclipse. The first photograph of the Sun’s corona was taken by a Prussian photographer called Berkowski. Longest total solar eclipse of the 21st century. Totality lasted for 6 mins and 39 secs. links to what may occur! Here is an activity that you can participate in, if you are in the path of totality! During the few minutes of totality; Venus and Mercury will be visible in a clear sky, as well as many of the bright stars in the sky. The Sun will be very close to the bright star, Regulus in Leo the Lion. How many stars can you see and for how long? Here is a listing of what we feel are some of the best links for the August 2017 eclipse! of eclipse, etc. We suggest you use this and tell others! Eclipse and other sky simulations…..We really like this one and you will too!!! « The fifth Annual Picture Perfect Park Wine & Food Tasting.